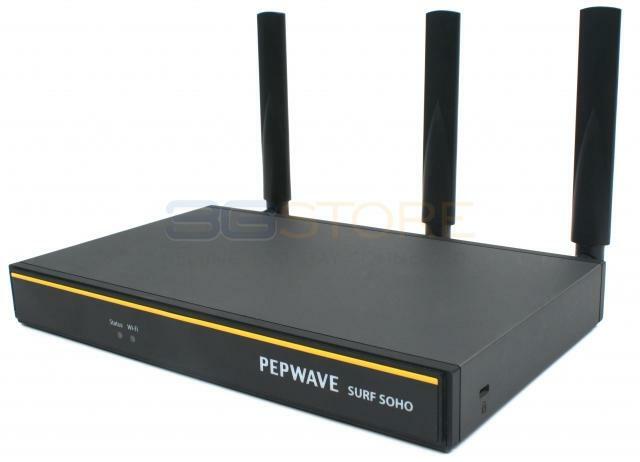 Congrats to Keith W. of Shawnee, Kansas who just won a $25.00 Restaurant.com gift code for writing a review for Pepwave Surf SOHO MK3 Router with 802.11ac WiFi Hardware Revision 3 at 3Gstore.com! Every week we randomly pick one product review from the previous week and award the writer a $25.00 gift code. We appreciate ALL the reviews our customers write, whether they are positive or negative - honest reviews like Keith W.\'s help other customers decide if the product is right for them. After you purchase a product from 3Gstore.com, we encourage you to log in and 3Gstore.com and leave a review letting people know how the product worked for you - you'll be helping others, and you'll automatically be entered to win a restaurant.com gift code!. We live out in the country and the best choice for Internet is an AT&T Unite Explore hotspot. The Pepwave router was very easy to configure and connects to the hotspot via USB. It does an excellent job of keeping the hotspot providing Internet and has decent built in Wi-Fi as well. It has a bunch of advanced features if you need them but toying with them wasn't required for my configuration.